Merry Christmas, Happy Chanukah, Happy Hogmanay, Happy New Year, Happy-whatever-you-may-celebrate, and all the best to you in 2017! May it be a brighter year for us all. As a gift for my readers, who have had little to read from me in recent years, I have packaged up a few seasonal stories and published them as an epub. I wrote them between 2008 and 2015, so they span a few years. You can pick up Yuletide Stories on box.com. I am also participating in the Hoggywarty Christmas Party again this year. I’m anticipating a lot of great fic and art, as has been the case in past years. If you’re looking for some good Hogwarts Christmas/winter stories, stop by and check out the party or read the entries from the previous years. The quality is really outstanding. I have updated the page with the list and links to all my fics on various sites. I hadn’t touched it since late 2013, so it’s nice to have that done. I will update the various sub-lists (the topical ones) soon, as well. Look for a new chapter of A Long Vernal Season soon! If you can’t remember the last few chapters and where Severus and Poppy are, no worries — I reread the last several chapters recently myself to get back into the groove of the story. My short story, ‘Discovery’, is now posted to ffnet. When young Minerva gets herself into a fix in her Animagus guise, she learns a few good lessons. For those of you who prefer to read on fanfiction.net, I have posted “He Calls My Name” there today. He Calls My Name on ffnet. 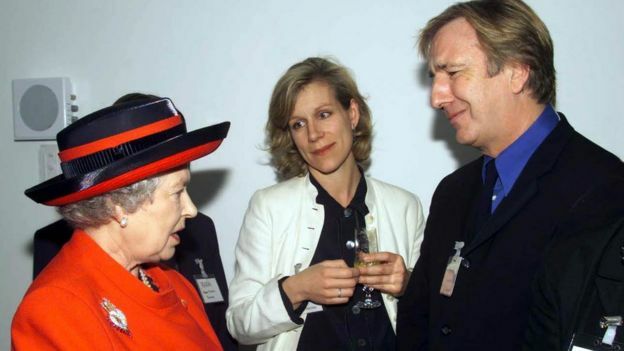 I was shocked to see the news of Alan Rickman’s death. The world’s lost a great talent. I send my sympathy to his family and friends, whose loss is personal. They must be experiencing a great void in their lives. BBC article reporting Alan’s death.